I keep store emails at a minimum for my very favorites so I don't get spammed with multiple emails a day from stores, but this is one to keep on hand. This is the quickest way to get notifications of discount codes and mark-downs going on. There's a ton of winter and spring markdowns here if you want to take a peek! I also like checking out their site because they have a lot of cute styles that aren't sold anywhere else. I have a list of them further down, but my go-to to get Free People items right now is Macy's. I usually check out their free people selection every weekend when they usually have their sitewide sales. Right now there is a sale of sale going on and it's pretty insane! 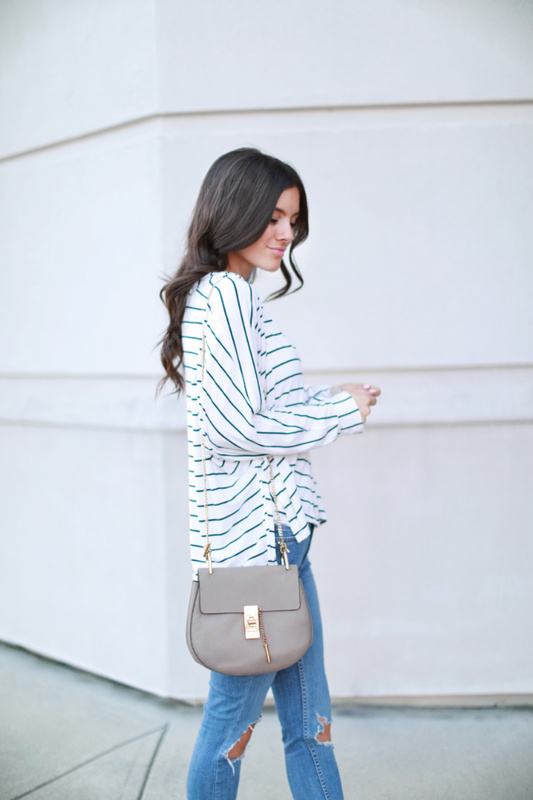 For example, this top I'm wearing retails for $68, was marked down to $39.99, and it's currently on sale for $26.99! It comes in two other colors and it's a new release, so prices will go back up after the sale is over. 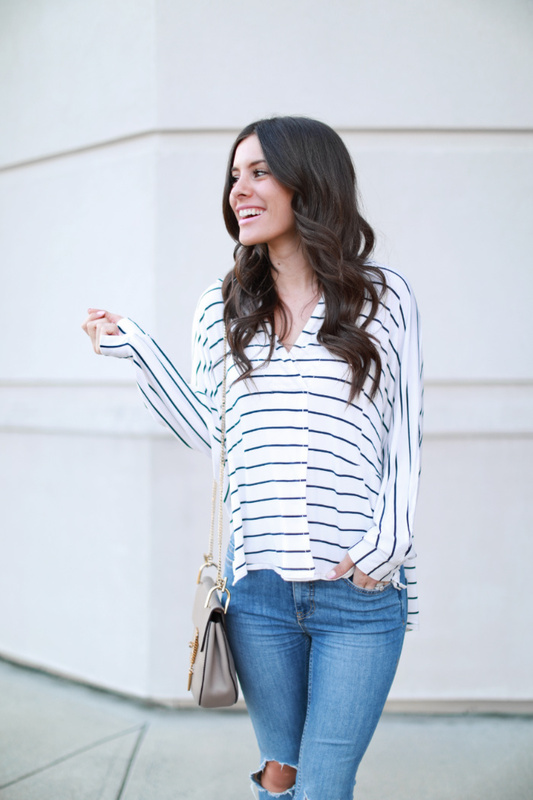 Like this top I posted last weekend was on sale at the time for $27 and it's back to full price again. Definitely, take advantage of the sales while you can! 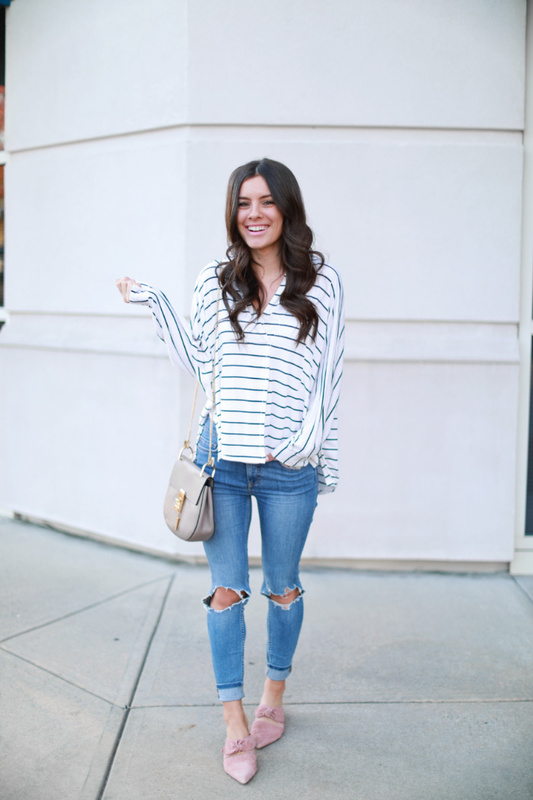 It's no secret that I love Nordstrom and I know you all do too! One of the many reasons is because they have occasional price matching. This top I'm wearing is price matched at the 60% off rate sold currently at Macy's, but sizes are sold out in this color and limited in other colors whereas Macy's has the same price with all sizes and colors available. Also, they don't always price match everything so I make sure to shop around before I pay full price and half the time I'll find it on sale somewhere else. 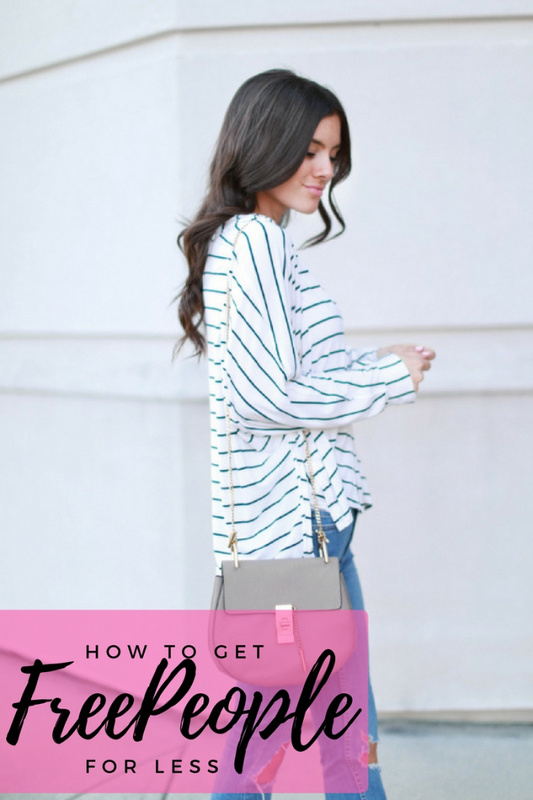 I hope you all enjoyed this post and I hope it was helpful for those of you that love Free People as much as I do! Hope you all have a great weekend! Let me know if you have any other tips or questions in the comments below! XO! This is such a helpful post! Thank you! !